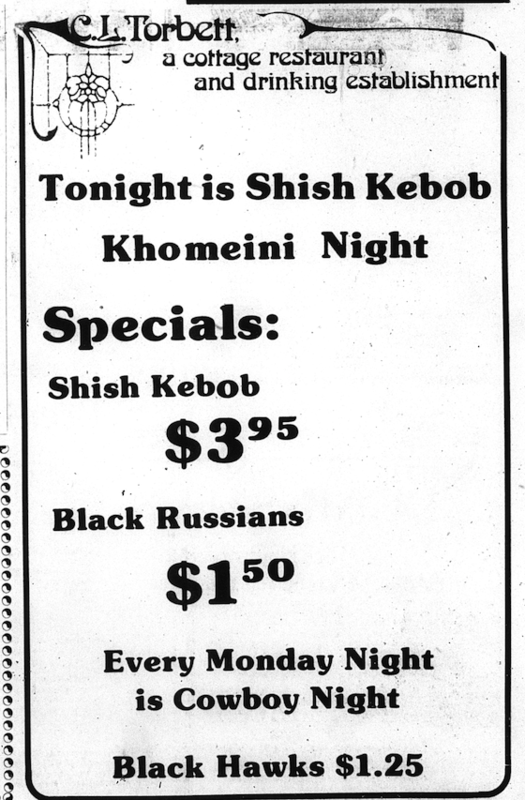 ‘Khomeini Fries’: In 1979, Bullard Hall was 52 hostages short of a Happy Meal. A first term Democrat trying to negotiate a diplomatic crisis in the middle east heading into an election? 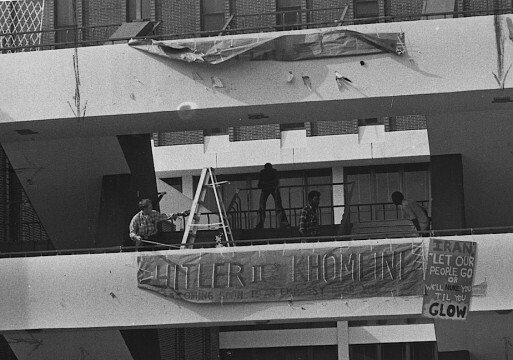 The political parallels between last week’s attack on the American embassies and the Iran Hostage Crisis are easy to draw. Lucky for Libya, Barack Obama’s cabinet isn’t stocked with Carter-era Auburn students. Because folks here in 1979? They weren’t too happy about 52 Americans being taken hostage. Things got tense. 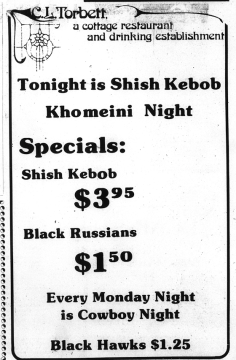 “Shish Kebob Khomeini Night” at C.L. Torbett’s. An Iranian-looking Israeli from Opelika—a Christian minister, no less) beaten up while waiting in line at the concession stand near the south end zone (so maybe it could have been Mississippi State fans). Aubie carrying an American flag on the sidelines all Hacksaw Jim Duggan-style. And don’t forget the signs. 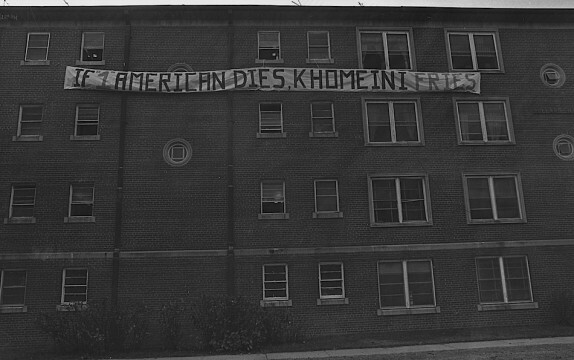 There was also an “IF ‘1’ AMERICAN DIES, KHOMEINI FRIES” banner strung between several fourth floor windows outside Bullard Hall. 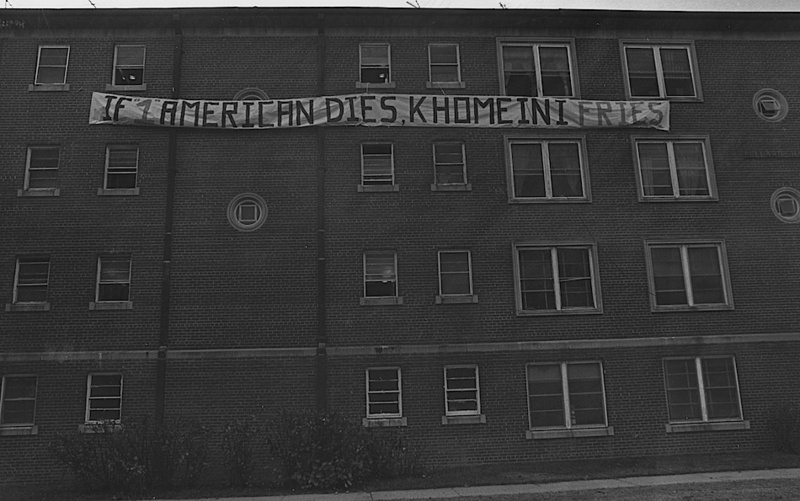 And there was a 20 x 50 foot banner about the U.S. being used as a doormat hung on Dudley Hall. That was put up by two dudes who thought maybe it was time to start deporting Iranians. And hey, it almost came to that. Iranian students in Alabama, including those enrolled (mostly in Engineering) at Auburn, were ordered to report to Montgomery with their Form I-94 to prove they were still indeed enrolled and in good standing. We don’t know who the 32 at Auburn were because Evelyn “Mrs. Shug” Jordan, Auburn’s Foreign Student Adviser at the time, wouldn’t name names. She technically had to if the press asked—she just didn’t. “I think we are all interested and anxious, both for the American hostages in Iran, and for the Iranian students here,” she told The Plainsman. The anxiety over the Iranian presence on campus was certainly understandable, seeing as how every anonymous Iranian student the Plainsman could find to interview kept voicing not just sympathy with the hostage takers—oh, excuse me, spy hunters—but straight up support. 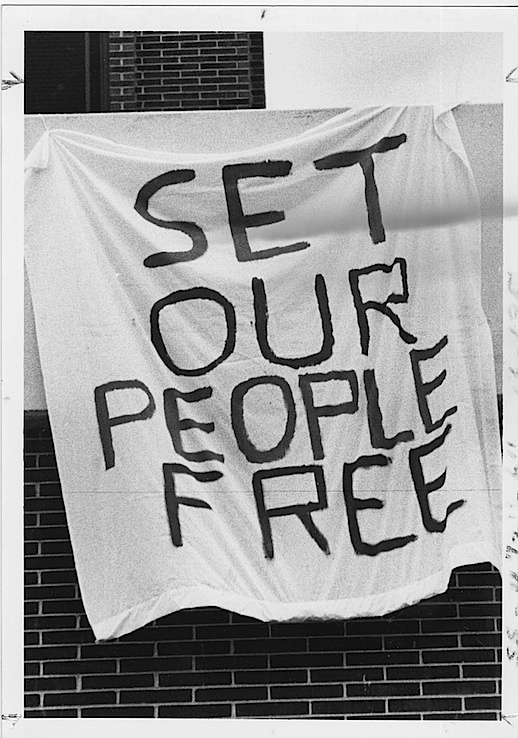 Photos: AU Archives, Auburn Plainsman. “IRAN: LET OUR PEOPLE GO OR WE’LL NUKE YOU TIL YOU GLOW.” Yup, remember that well. Remember this well, and the reactions to the Iranians and Iraqi (!) at AHS. Don’t recall any negative response to the Iranians; do recall that the Iraqi was a Khomeini supporter and took flak for it. One of the Iranians was the son of a diplomat in DC and his father was recalled to Iran; don’t know if he went or not, but the HS guy told me their home and car had been seized in Iran. Never saw that kid again; he withdrew from AHS.